Home > Managing Diabetes > When Will There Be Generic Insulin? 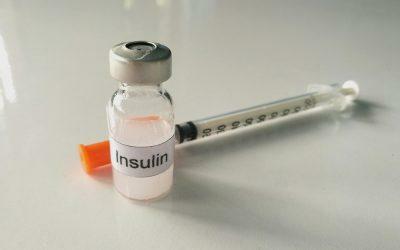 In other parts of the world, including Europe and Asia, insulins have been approved through the biosimilar pathway. However, in the U.S. these products have gone through a different FDA approval process and are called a ‘follow-on product.’ FDA rule changes scheduled to take place in early 2020 will merge these two processes so that a biological product approved as a drug will be classified the same as other licensed biological products. There are currently two follow-on insulin products available for use in the United States. The first in 2015 was a long-acting insulin, Eli Lilly and Company’s Basaglar (insulin glargine injection) with the reference product being Sanofi-Aventis’s Lantus (insulin glargine injection). Additional long-acting injection products have either received tentative approval from the FDA or have been approved and distributed in other countries, but have not yet become available in the U.S. In December of 2017, the FDA approved the first rapid-acting follow-on insulin product, Sanofi-Aventis’s Admelog (insulin lispro injection), reference product Eli Lilly’s Humalog (insulin lispro injection). You should expect no difference between taking a biosimilar or its reference product in how safe it is, how well it works or in your health outcomes. Due to small differences in the manufacturing process, rare, but serious, reactions of the immune system may occur when switching to a biosimilar or follow-on product. Each state has different laws about whether a pharmacy is able to substitute a biosimilar for its reference product. Each state’s legislation addresses key biosimilar principles including how the products are FDA approved, if a prescriber decision is necessary for substitution, how a prescriber must be communicated with , how the patient is notified, what records must be kept, and if cost affects the decision. A major contributor to increasing costs of prescriptions has been biologic products, insulin, cancer medications and monoclonal antibodies that are used for a variety of conditions such as rheumatoid arthritis and Crohn’s disease. If you take insulin, your out-of-pocket costs may have also increased. Similar to generic drugs, biosimilar products may allow access to treatment at lower costs due to less in research costs and competition between manufacturers to drive price decreases. Other countries have seen treatment costs decrease by up to 40 percent due to biosimilar products. It is still unknown if the biosimilar pathway will reduce costs of insulin in the United States; however, a recent study estimated that biosimilar products including insulins will decrease spending on biologic drugs by $54 billion between 2017 and 2026 in the United States. The Biologics Price Competition and Innovation Act has allowed for biosimilar products to enter the drug market in the United States. These products are not the same as a generic drug, but do offer similar benefits in terms of potential decreases to the cost of medications and patient access. The approval of biosimilar or follow-on products with the FDA gives you and your diabetes care team assurance these products are safe and effective. Kristina Naseman is a doctor of pharmacy and master licensed diabetes educator at UK HealthCare for the inpatient diabetes service team, Barnstable Brown Diabetes Center and Maternal Fetal Medicine. Laura Hieronymus is a doctor of nursing practice, master licensed diabetes educator, and the associate director of education and quality services at the UK HealthCare Barnstable Brown Diabetes Center. Both are at the University of Kentucky in Lexington, Kentucky.